This guide will instruct you on how to set up SPF and DKIM with Postfix. SPF (Sender Policy Framework) is a system that identifies to mail servers what hosts are allowed to send email for a given domain. Setting up SPF helps to prevent your email from being classified as spam. DKIM (DomainKeys Identified Mail) is a system that lets your official mail servers add a signature to headers of outgoing email and identifies your domain’s public key so other mail servers can verify the signature. As with SPF, DKIM helps keep your mail from being considered spam. It also lets mail servers detect when your mail has been tampered with in transit. DMARC (Domain Message Authentication, Reporting & Conformance) allows you to advertise to mail servers what your domain’s policies are regarding mail that fails SPF and/or DKIM validations. It additionally allows you to request reports on failed messages from receiving mail servers. The DNS instructions for setting up SPF, DKIM and DMARC are generic. The instructions for configuring the SPF policy agent and OpenDKIM into Postfix should work on any distribution after making respective code adjustments for the package tool, and identifying the exact path to the Unix socket file. The steps required in this guide require root privileges. Be sure to run the steps below as root or with the sudo prefix. For more information on privileges see our Users and Groups guide. You must already have Postfix installed, configured and working. Refer to the Linode Postfix Guides for assistance. Publishing an SPF DNS record without having the SPF policy agent configured within Postfix is safe; however, publishing DKIM DNS records without having OpenDKIM working correctly within Postfix can result in your email being discarded by the recipient’s email server. The value in an SPF DNS record will look something like the following examples. The full syntax is at the SPF record syntax page. The v=spf1 tag is required and has to be the first tag. The last tag, -all, indicates that mail from your domain should only come from servers identified in the SPF string. Anything coming from any other source is forging your domain. An alternative is ~all, indicating the same thing but also indicating that mail servers should accept the message and flag it as forged instead of rejecting it outright. -all makes it harder for spammers to forge your domain successfully; it is the recommended setting. ~all reduces the chances of email getting lost because an incorrect mail server was used to send mail. ~all can be used if you don’t want to take chances. The tags between identify eligible servers from which email to your domain can originate. mx is a shorthand for all the hosts listed in MX records for your domain. If you’ve got a solitary mail server, mx is probably the best option. If you’ve got a backup mail server (a second MX record), using mx won’t cause any problems. Your backup mail server will be identified as an authorized source for email although it will probably never send any. The a tag lets you identify a specific host by name or IP address, letting you specify which hosts are authorized. You’d use a if you wanted to prevent the backup mail server from sending outgoing mail or if you wanted to identify hosts other than your own mail server that could send mail from your domain (e.g., putting your ISP’s outgoing mail servers in the list so they’d be recognized when you had to send mail through them). If your DNS provider allows it (DNS Manager doesn’t), you should also add a record of type SPF, filling it in the same way as you did the TXT record. The values for the DNS records above – and for the rest of this guide – are done in the style that Linode’s DNS Manager needs them to be in. If you’re using another provider, that respective system may require the values in a different style. For example freedns.afraid.org requires the values to be written in the style found in BIND zonefiles. Thus, the above SPF record’s value would need to be wrapped in double-quotes like this: "v=spf1 mx -all". You’ll need to consult your DNS provider’s documentation for the exact style required. The Python SPF policy agent adds SPF policy-checking to Postfix. The SPF record for the sender’s domain for incoming mail will be checked and, if it exists, mail will be handled accordingly. Perl has its own version, but it lacks the full capabilities of Python policy agent. If you are using SpamAssassin to filter spam, you may want to edit /etc/postfix-policyd-spf-python/policyd-spf.conf to change the HELO_reject and Mail_From_reject settings to False. This edit will cause the SPF policy agent to run its tests and add a message header with the results in it while not rejecting any messages. You may also want to make this change if you want to see the results of the checks but not actually apply them to mail processing. Otherwise, just go with the standard settings. Make sure to add the check_policy_service entry after the reject_unauth_destination entry to avoid having your system become an open relay. If reject_unauth_destination is the last item in your restrictions list, add the comma after it and omit the comma at the end of the check_policy_service item above. This header indicates a successful check against the SPF policy of the sending domain. If you changed the policy agent settings in Step 1 to not reject mail that fails the SPF check, you may see Fail results in this header. You won’t see this header on outgoing or local mail. The first message is a check of the HELO command, in this case indicating that there wasn’t any SPF information matching the HELO (which is perfectly OK). The second message is the check against the envelope From address, and indicates the address passed the check and is coming from one of the outgoing mail servers the sender’s domain has said should be sending mail for that domain. There may be other statuses in the first field after the colon indicating failure, temporary or permanent errors and so on. DKIM involves setting up the OpenDKIM package, hooking it into Postfix, and adding DNS records. # Commonly-used options; the commented-out versions show the defaults. Edit /etc/opendkim.conf and replace it’s contents with the above. Replace example.com with your domain and example with a short name for the domain. The first field is a pattern that matches e-mail addresses. The second field is a name for the key table entry that should be used to sign mail from that address. For simplicity’s sake, we’re going to set up one key for all addresses in a domain. Replace example with the example value you used for the domain in the signing table (make sure to catch the second occurrence at the end, where it’s followed by .private). Replace example.com with your domain name and replace the YYYYMM with the current 4-digit year and 2-digit month (this is referred to as the selector). The first field connects the signing and key tables. The second field is broken down into 3 sections separated by colons. The first section is the domain name for which the key is used. The second section is a selector used when looking up key records in DNS. The third section names the file containing the signing key for the domain. The flow for DKIM lookup starts with the sender’s address. The signing table is scanned until an entry whose pattern (first item) matches the address is found. Then, the second item’s value is used to locate the entry in the key table whose key information will be used. For incoming mail the domain and selector are then used to find the public key TXT record in DNS and that public key is used to validate the signature. For outgoing mail the private key is read from the named file and used to generate the signature on the message. When creating the file, change myhostname to the name of your server and replace example.com with your own domain name. We’re identifying the hosts that users will be submitting mail through and should have outgoing mail signed, which for basic configurations will be your own mail server. to get the status and untruncated error messages. 201510._domainkey  IN  TXT ( "**v=DKIM1; h=rsa-sha256; k=rsa; s=email; "
Paste that into the value for the TXT record. Repeat this for every domain you handle mail for, using the .txt file for that domain. If everything is OK you shouldn’t get any output. If you want to see more information, add -vvv to the end of the command. That produces verbose debugging output. The last message should be “key OK”. Just before that you may see a “key not secure” message. That’s normal and doesn’t signal an error, it just means your domain isn’t set up for DNSSEC yet. Uncomment the first SOCKET line and edit it so it matches the uncommented line in the above file. 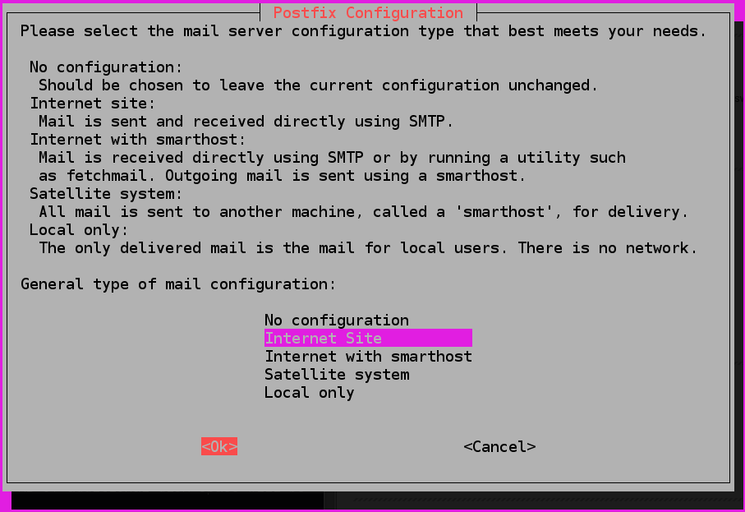 The path to the socket is different from the default because on Debian 9 the Postfix process that handles mail runs in a chroot jail and can’t access the normal location. You can put this anywhere in the file. The usual practice is to put it after the smtpd_recipient_restrictions entry. You’ll notice the path to the socket isn’t the same here as it was in the /etc/defaults/opendkim file. That’s because of Postfix’s chroot jail, the path here is the path within that restricted view of the filesystem instead of within the actual filesystem. The easiest way to verify that everything’s working is to send a test e-mail to check-auth@verifier.port25.com using an email client configured to submit mail to the submission port on your mail server. It will analyze your message and mail you a report indicating whether your email was signed correctly or not. It also reports on a number of other things such as SPF configuration and SpamAssassin flagging of your domain. If there’s a problem, it’ll report what the problem was. You don’t need to set this up, but doing so makes it harder for anyone to forge email from your domains because recipient mail servers will see the lack of a DKIM signature and reject the message. The DMARC DNS record can be added to advise mail servers what you think they should do with emails claiming to be from your domain that fail validation with SPF and/or DKIM. DMARC also allows you to request reports about mail that fails to pass one or more validation check. DMARC should only be set up if you have SPF and DKIM set up and operating successfully. If you add the DMARC DNS record without having both SPF and DKIM in place, messages from your domain will fail validation which may cause them to be discarded or relegated to a spam folder. v specifies the protocol version, in this case DMARC1. quarantine instructs that if an email fails validation, the recipient should set it aside for processing. reject requests that the receiving mail server reject the emails that fail validation. none requests that the receiver take no action if an email does not pass validation. sp determines the policy for subdomains, such as “subdomain.example.com.” It takes the same arguments as the p tag. r relaxed alignment mode, DKIM authentication is less strictly enforced. s strict alignment mode. Only an exact match with the DKIM entry for the root domain will be seen as validated. aspf determines the alignment mode for SPF verification. It takes the same arguments as adkim. If you wish to receive authentication failure reports, DMARC provides a number of configuration options. You can use the following tags to customize the formatting of your reports, as well as the criteria for report creation. rua specifies the email address that will receive aggregate reports. This uses the mailto:user@example.com syntax, and accepts multiple addresses separated by commas. 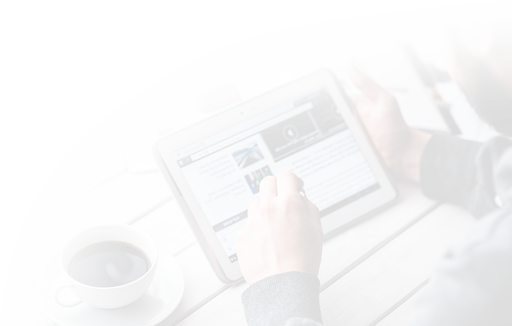 Aggregate reports are usually generated once per day. ruf specifies the email address that will receive detailed authentication failure reports. This takes the same arguments as rua. With this option, each authentication failure would result in a separate report. 0 will request a report if all authentication methods fail. For example, if an SPF check were to fail but DKIM authentication was successful, a report would not be sent. 1 requests a report if any authentication check fails. d requests a report if a DKIM check fails. s requests a report if an SPF check fails. afrf uses the Abuse Report format as defined by RFC 5965.
iodef uses the Incident Object Description Exchange format as defined by RFC 5070. Generate new keys as in step 8 of Configure OpenDKIM. Do this in a scratch directory, not directly in /etc/opendkim/keys. Use the current year and month for the YYYYMM selector value, so it’s different from the selector currently in use. Add the -vvv switch to get debugging output if you need it to diagnose any problems. Correct any problems before proceeding, beginning to use the new private key file and selector when opendkim-testkey doesn’t indicate a successful verification will cause problems with your email including non-receipt of messages. Stop Postfix and OpenDKIM with systemctl stop postfix opendkim so that they won’t be processing mail while you’re changing out keys. Use the opendkim-testkey command as described above to ensure that your new record is propagated before you continue. Edit /etc/opendkim/key.table and change the old YYYYMM values to the new selector, reflecting the current year and month. Save the file. Make sure they both start without any errors. After a couple of weeks, all email in transit should either have been delivered or bounced and the old DKIM key information in DNS won’t be needed anymore. Delete the old YYYYMM._domainkey TXT records in each of your domains, leaving just the newest ones (most recent year and month). Don’t worry if you forget and leave the old keys around longer than planned. There’s no security issue. Removing the obsolete records is more a matter of keeping things neat and tidy than anything else.